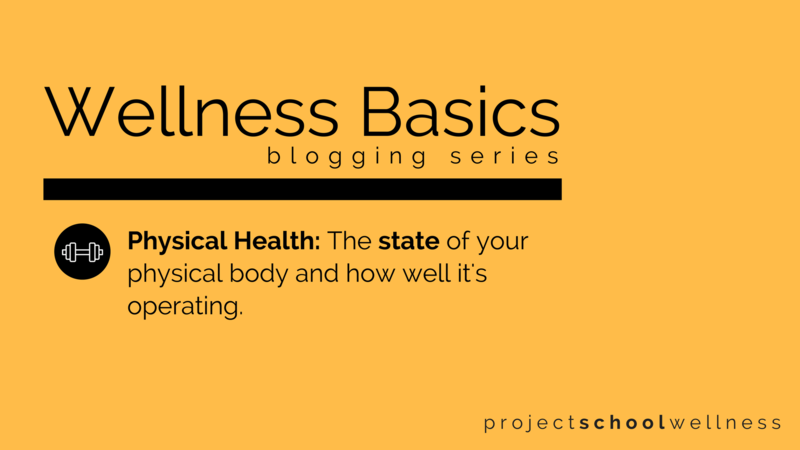 The Wellness Basics blogging series is back. This is where we chat about the basics of wellness, well-being, and learning how to thrive! 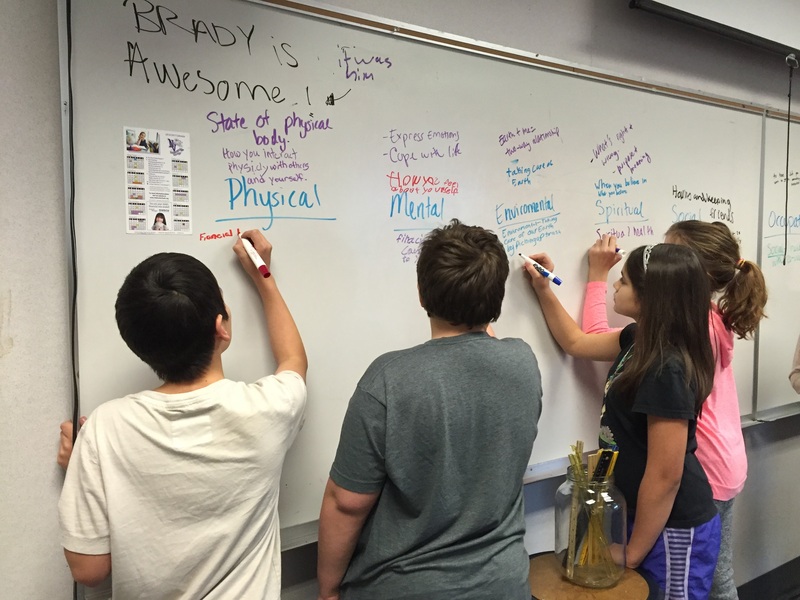 Our topic this week is Physical Health. » » » I find physical health to be very interesting. Mostly because the term health is often used interchangeably with physical health. When in reality, physical health only represents one element of an individual’s total health. And solely focusing on physical health DOES NOT CONSTITUTE a wellness program or empower students to thrive. It is only a piece of the puzzle! Okay, rant over. Let’s get back to Physical Health. Physical health represents one dimension of total well-being. The term refers to the state of your physical body and how well it’s operating. Active Lifestyle – Being active throughout the day, not just when you’re working out. Healthy Diet – Eating and drinking a balanced diet to fuel your body. Hygiene and Disease Prevention – Keeping your body clean & free of disease by doing things like brushing your teeth, sleeping 8+ hours, and drinking lots of water. Physical Fitness – Intentionally strengthening your physical body by working out. Add movement class with things like this Discovery Walk activity! When you don’t sleep well or get enough hours of sleep, your ability to function at work deteriorates, thus influencing your occupational well-being. How I feel about my physical body great impacts my self-esteem and self-confidence, which can lead to low mental health. Your personal level of financial well-being impacts how much access you have to fitness equipment and to the quality of food you can buy. How does your physical well-being impact your overall ability to thrive??? 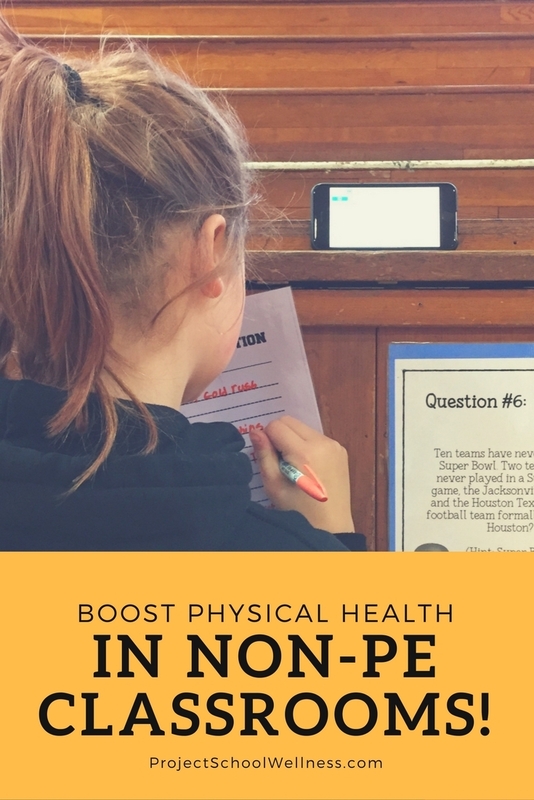 Discover ways to boost Physical Health in non-PE classrooms! 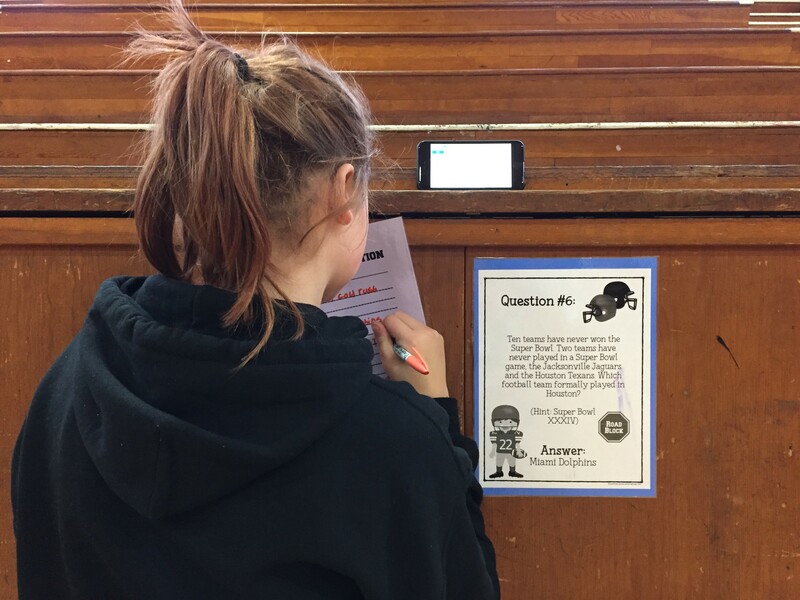 Add movement class with things like this Amazing Race activity! Add brain breaks to your lessons. Or better yet, add more recess to your day! Even if it’s just five extra minutes. Get creative with your lessons and incorporate more movement with things like gallery walks, learning stations, and scavenger hunts. Jump on the flexible seating bandwagon. Seating options like standing desks or yoga balls are a great way to increase movement. Assign LESS homework. Yes, I said it. Give your students less out-of-class work so they have more unrestricted free time to play! Create a healthy snack policy. I’m happy to let kids eat in class as long as it’s unprocessed and healthy. Encourage students to bring water bottles to school and only let kids drink water in class. Boosting physical health at school doesn’t have to be hard! Boosting physical health at school doesn’t have to be hard! And the benefits are soooo incredibly important! If we want our kids to live thriving lives, I challenge you to make physical well-being a priority every day!